Joyce Cacho is a C-level executive, Non-executive director, and Investment decision-making advisor. Knowledge of financial operations, including ESG intersection with supply-chain/distribution networks, Fintech, data integrity/blockchain and the relationship to M&A trends, pivots from diverse experiences in Corporate and Investment Banking, Manufacturing, and Innovation Technology. Joyce is a Board Director/Independent Director of Land O’Lakes, Inc., a Fortune 200 company; and, Sunrise Banks, a member of the Global Alliance for Banking on Values (GABV). Joyce served on the Experts Reference Group, Framework for Improving Rural Infrastructure and Trade Related Capacities for Market Access (FIMA, CAADP-Pillar 2). Policy advising roles with USDA/USTR, and the African Union Commission (AUC), are complemented by experience in building a PPP in Vietnam, research in Brazil, and co-authoring case studies for the OECD about FDI in the Food Sectors of Ghana, Mozambique, Tunisia and Uganda. Consulting experience identifying business opportunities and potential projects as a reviewer of country operational plans for applicants to the Africa Risk Capacity (ARC), a parametric extreme weather, catastrophe insurance vehicle which is modeled on the Caribbean Catastrophe Risk Insurance Facility (CCRIF), expands considerations in innovation processes, expanding financial capital markets to increase inclusive risk sharing, and the pivotal role of the leadership of the Pan African Federation of Accountants (PAFA) in Integrated Reporting. Joyce served as co-chair, Industry/Agribusiness Committee of the Agricultural & Applied Economics Association (AAEA), leading the transformation to a fee-based organization, and has been affiliated with the International Food and Agribusiness Management Association (IFAMA) as a paper reviewer and case study co-author. Joyce contributed to Toward gender equality: The role of public policy, published by the World Bank in 1995. Joyce holds a PhD in Investment Decision-making & Corporate Finance from the University of Missouri (Mizzou); an MSc in Commodity Marketing & International Trade from Virginia Polytechnic Institute & State University (Virginia Tech); and, a BA in Economics & Computer Science from the University of Windsor. 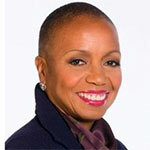 Joyce is a Certified Anti-Money Laundering Specialist (CAMS), a member of CFA-NY, and a NACD Board Leadership Fellow.